Yesterday, Jimmy Rollins became just the third player in Phillies history to hit home runs from each side of the plate in the same game. The feat is actually rarer than throwing a no-hitter or hitting for the cycle (I saw the numbers on this somewhere yesterday, but absent-mindedly forgot to save a link back to the page so that I could reference them again today), and Phillies franchise history follows the general trend. 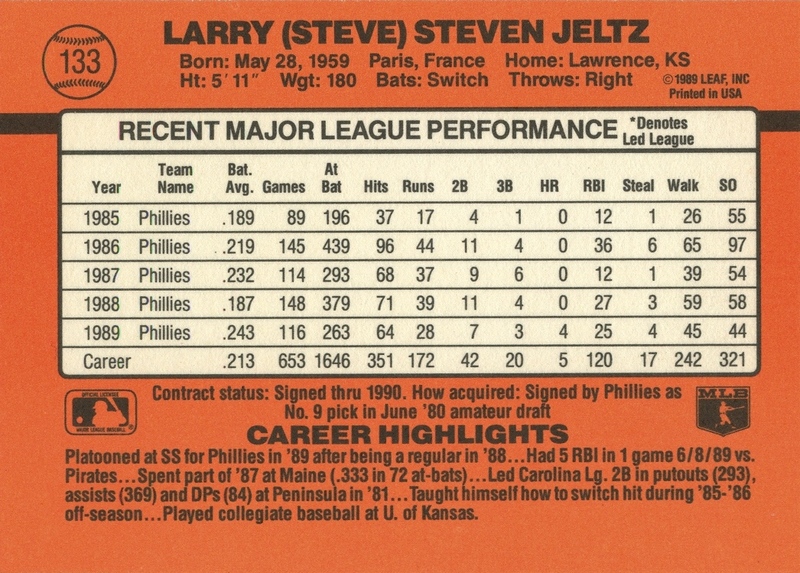 The most surprising thing, however, about the team’s history in regards to this particular feat is the name of the first player in team history to do this: Steve Jeltz. There was nothing in Jeltz’s history to suggest that he could do this. 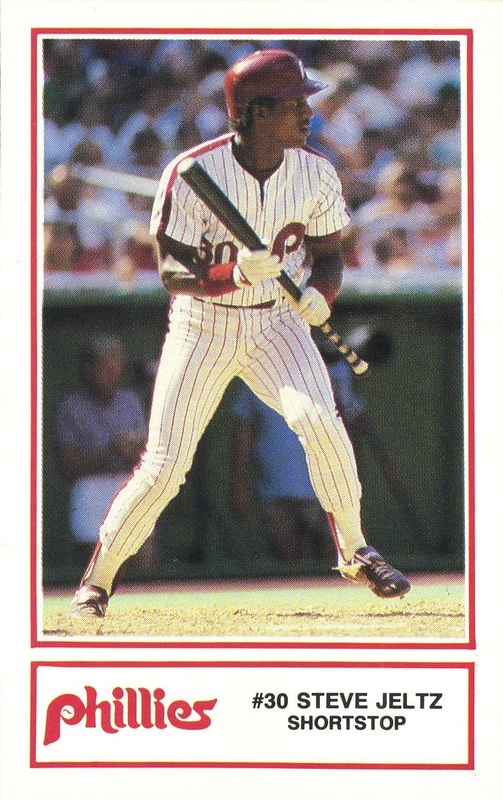 In fact, just 18 days previous to the day he made Phillies history on June 8, 1989, he hit his first home run in over four years — 1844 plate appearances after his last one in September, 1984. As amazing as that was, the other details about that memorable night in June just make Jeltz’s achievement all the more mind-boggling. For starters, he didn’t even start the game; Jeltz replaced Tom Herr at 2B in the second inning (I haven’t found the reason for the extremely early substitution). 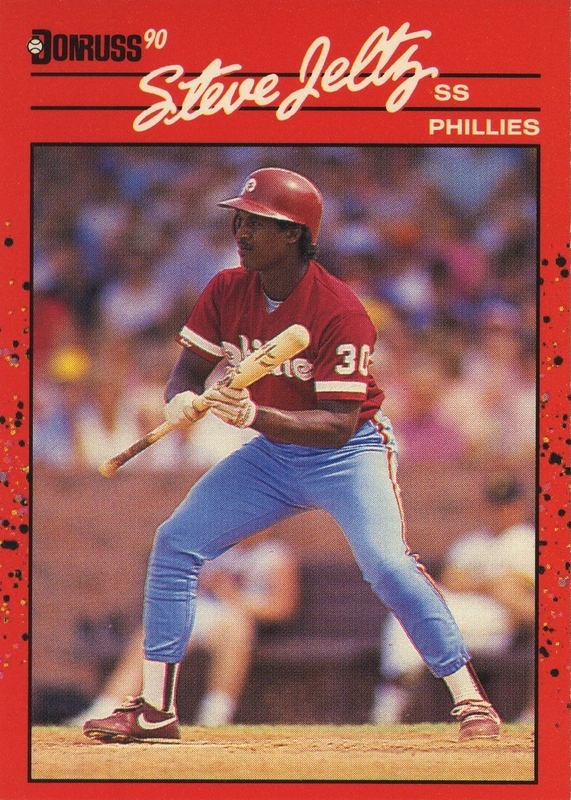 As a result, a man with a career OBP of .306 entering the 1989 season was batting second in the lineup. * The oddness of his playing second was also rather striking. 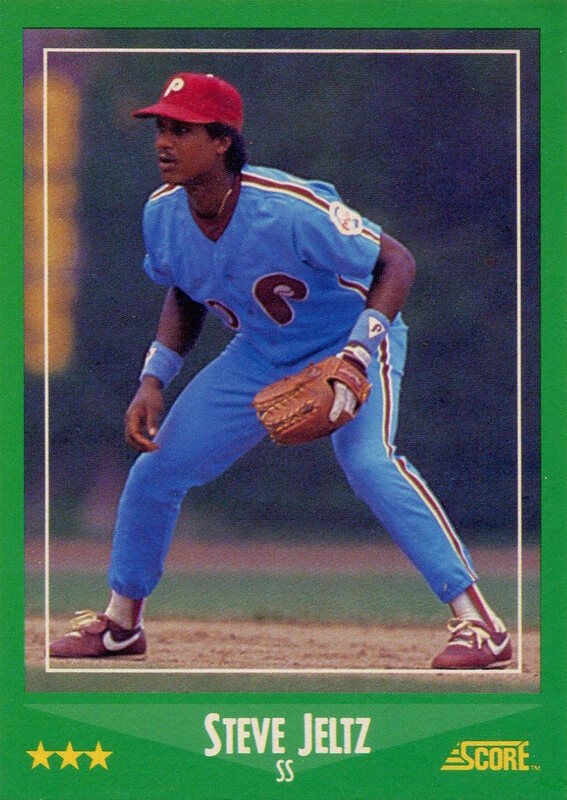 Despite being the starting shortstop the previous three full seasons, thanks to the acquisitions of Herr and SS Dickie Thon, Jeltz was now a reserve (understandable given his career numbers up to that point), and prior to 1989 Jeltz hadn’t played second since his September call-up back in 1983. Finally, and maybe even the most amazing detail, Jeltz’s homers come in consecutive at bats — a man who a little over two weeks earlier broke a home run drought that extended over four years and 1844 plate appearances managed to hit two consecutive home runs from opposite sides of the plate. It’s easily one of the most ridiculously unlikely days in baseball history. Leave it to Donruss, however, to completely blunder the perspective when writing up that particular game on the back of his card the following year. They didn’t mention any of the details I’ve just conveyed. 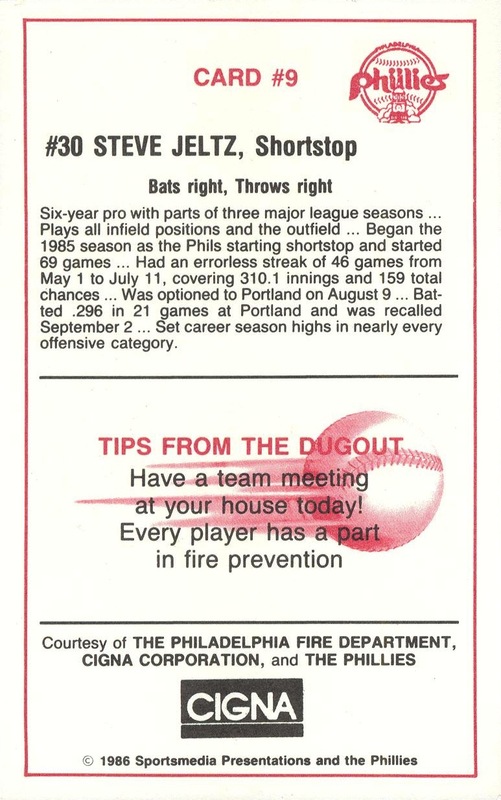 Here is the entire text of their mention of Jeltz’s amazing feat: “Had 5 RBI in 1 game 6/8/89 vs. Pirates.” That’s it. Yes, I understand those five RBI represented 20% of his season total that year, but in addition to all the other facts I’ve already tossed out, those two HRs represented 40% of his career total through the end of the 1989 season (and ultimately, his full career)… and that’s what Donruss chose to highlight? This now marks two different extreme rarities to take place in just under two weeks. Combine that with Halladay’s historic no-hitters last year, the current run of postseason appearances and first-place finishes, and the fact that the Phillies’ record over their last 162 games is their best regular season run in franchise history (hat tip to The Good Phight for doing the math on that one), it’s easy to see that we are in the middle of the Golden Age of Phillies Baseball. 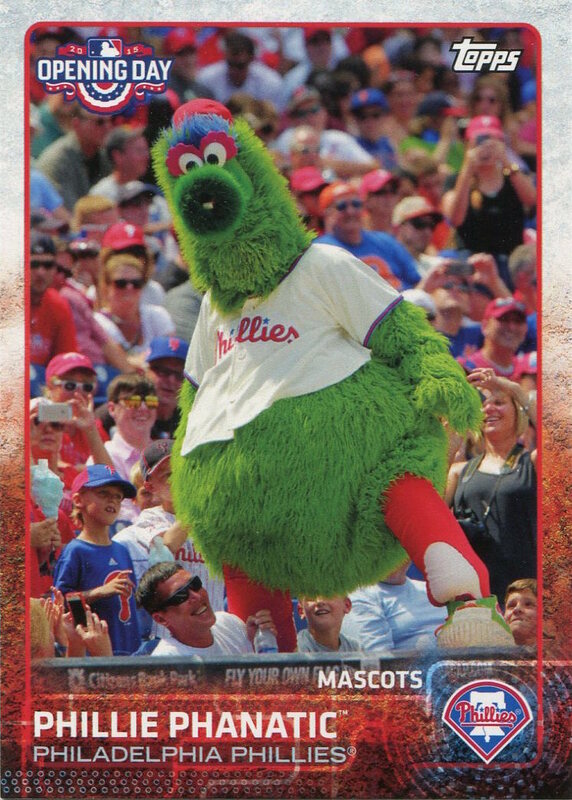 I try my best to contain my enthusiasm and wait for something horrible to happen (years of lousy Phillies baseball made that particular state of fandom really easy to maintain for a long time), but I’m also thoroughly enjoying the run. 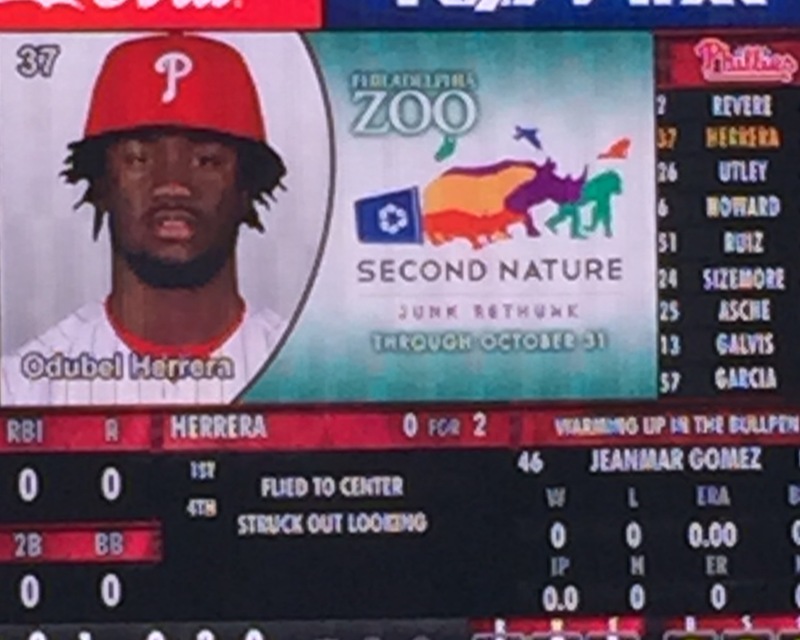 It won’t last — all good teams finally see their eras end — but for now I feel incredibly fortunate to be a Phillies fan. Current database progress: 7,739 entries (lines); last set information entered: 2009 Upper Deck Goodwin Champions. * To be fair, his 1989 OBP going into the game was. 395, which made his presence in the two-hole slightly more acceptable.